All three photos were taken along the eastern boundary of Big Cypress National Preserve, a few miles north of US41 on the L-28 levee. 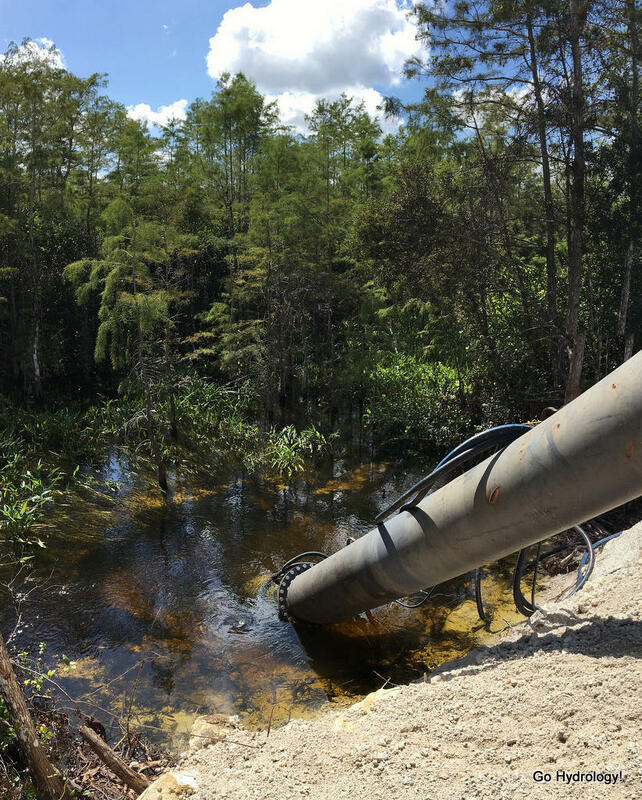 Emergency pumps were installed a few weeks ago to help lower high-water conditions in Water Conservation Area 3A (WCA3A). 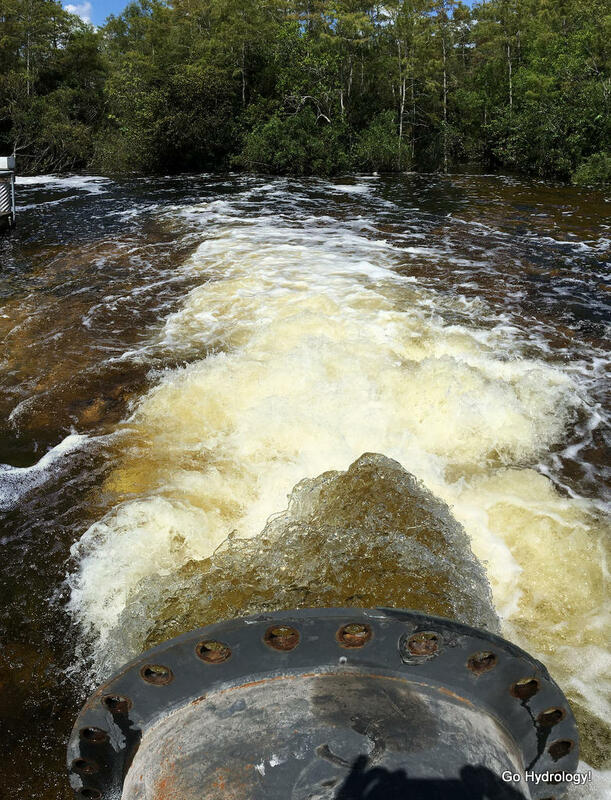 Top photo: Inlet side of one of four emergency pumps along the L-28, looking east into WCA3A. Middle photo: On the inlet side of the pump looking west across the levee towards Big Cypress Nat'l Preserve. Bottom photo: Freshet of water being released on the west side of the levee.